Road safety is a large and fast growing problem, especially in low- and middle income countries. Every year over 1 million people die as result of a road crash and over 100 million people get injured. 90% of all road traffic crashes occur in low- and middle income countries and with increasing traffic, these numbers are rising fast. We believe investing in road safety creates enormous health, social and economic benefits for communities. There is a direct link between road safety and poverty. 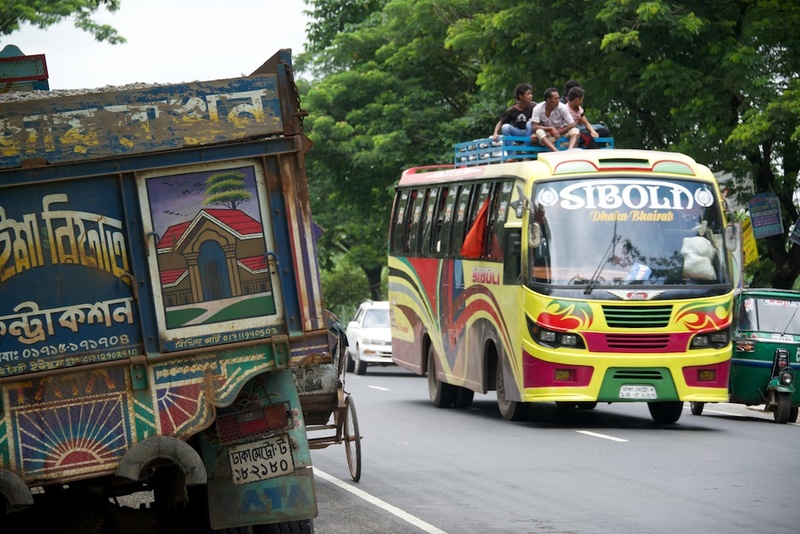 Research in Bangladesh has shown that 50% of the people involved in a road crash fall into poverty. This is due to losing the ability to generate an income and / or high out of the pocket expenses like for hospitals and medication. Road traffic crashes are the leading cause of death for children aged 10-24. Children and underprivileged people are vulnerable because they have walk or cycle across dangerous roads. The costs of deficient road safety are enormous, estimated to be 5% of GDP of a country. Many hospital beds are occupied by victims of a traffic crash, increasing the burden on hospitals. Deficient road safety hampers the business climate and economic growth of a country. Many road crashes can be prevented by relatively simple interventions that are effective, low-cost, and sustainable. Because the knowlegde is available, the right investment can create a much safer road.